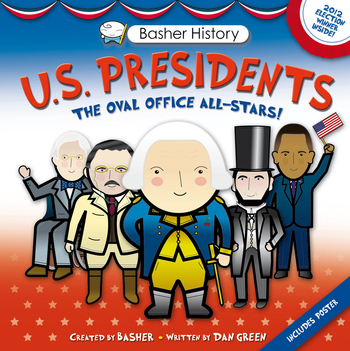 Basher's US Presidents shows you the nation's leaders as you've never seen them before. Every president, from George Washington to the winner of the 2012 election, has his own entry and speaks directly to the reader. 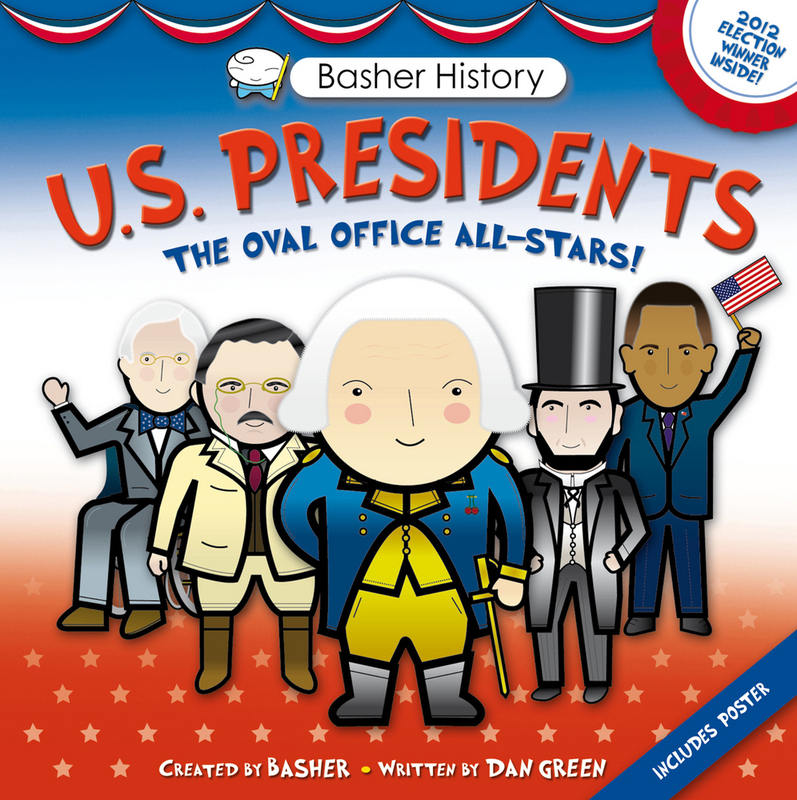 In Basher's humorous fashion, these lively and enlightening articles bring history to life. Meet James Monroe, known as the "Last Cocked Hat" because he pranced around in an outdated wig, hat, and breeches! Learn more about "Uncle Jumbo" (better known as Grover Cleveland): the only president to serve two non-consecutive terms. Find out how Ronald Reagan helped end the Cold War. Quirky facts add interest. Did you know that John Quincy Adams had a pet alligator? That Teddy Roosevelt (and his whole family) could walk on stilts? Or that Lyndon B. Johnson had worked as an elevator operator? Reading this book will put you on first-name terms with every single one of America's Head Honchoes! Simon Basher is the creator and illustrator of more than a dozen internationally best-selling books for children including the critically acclaimed Basher Science series (Physics, Chemistry, Astronomy, Algebra & Geometry and more), the Go! Go! Bobo books and Basher's ABC. Based in London, Basher specialises in "graphic surrealism" and his original artwork is regularly exhibited and sold in the UK, Europe, USA and Asia. Dan Green is the voice of Basher, the author of numerous Basher titles including Physics, Biology, Astronomy, Rocks and Minerals and Human Body. He's a journalist and writer with a brilliant knack for communicating complicated information in a child-friendly way. Dr. Edward L. Widmer is a historian, writer and librarian, currently based at Brown University.He served as a speechwriter for President Clinton, has written a book on Martin van Buren and has co-authored a book on presidential races.